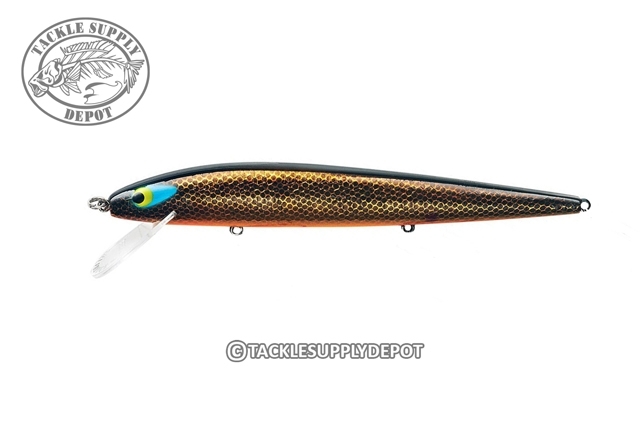 The Smithwick Suspending Rattlin Rogue is the jerkbait all other slender minnow lures look up to. For more than 30 years the Rogue has been the go-to lure for early spring bass, and for trolling up trophy walleyes any time of year. Although the Rogue has been copied numerous times, none of these clones had the soul of the Rogue. It's the classic Rogue Roll, in which the bait actually lists quickly side-to-side as it's darting and swimming that makes one big difference. This roll allows the sides to flash just like real baitfish. Add true-running dependability and a host of high-tech and classic paint jobs, and the Suspending Rattlin Rogue is a potent weapon in your fight against trophy fish around the world.